Lauterborn Electric was called for an estimate by a customer in the City Line section of the city of Philadelphia. The customer found us on Yelp and was in need of a service upgrade. When we arrived, we found the panel severely corroded and overcrowded and the main service cable on the exterior was frayed. 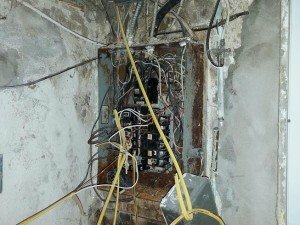 Water had compromised the main panel causing power to be lost in several areas of the home. The image shows the condition of the panel and what was done to replace it. A new 100 AMP service was installed with a new 30 circuit panel, new service entrance cable, and new meter socket on the exterior. 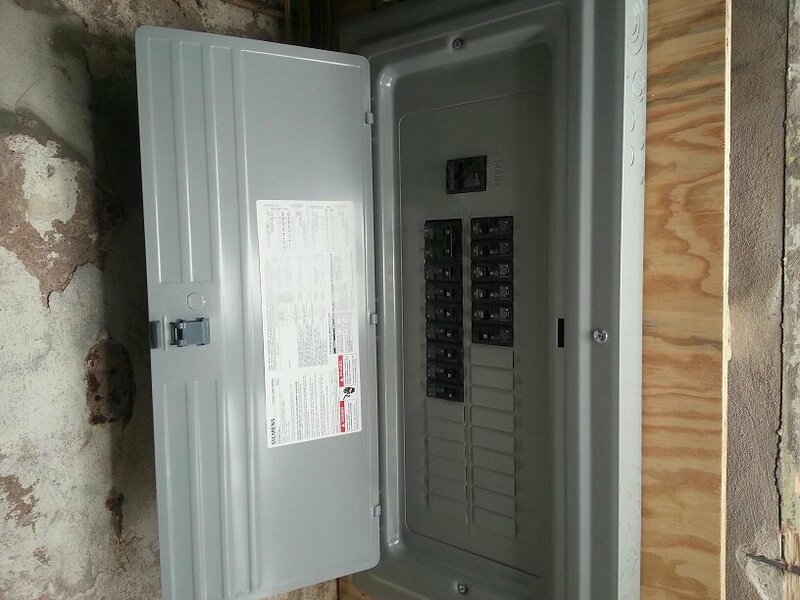 A new breaker was also installed for every existing circuit. A backboard was installed to mount equipment. 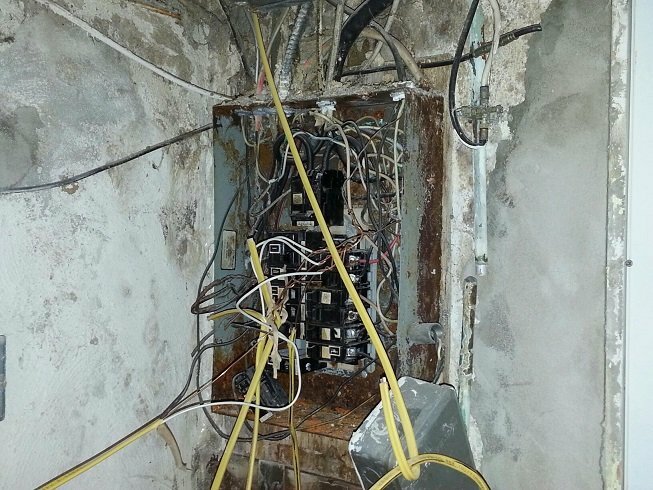 If your main electrical panel is either corroded or compromised by water, contact your Licensed Philadelphia Electrician, Lauterborn Electric for a free estimate.